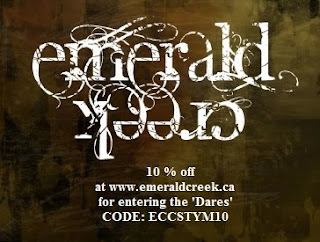 Emerald Creek Dares: Nations Celebrated! Canada Day & Independence Day are knocking on our Door and what an awesome line up of creations to celebrate these occasions. I love all of my team's projects, but I have to say Pam's project made me smile. While featuring so many pieces from emerald creek, the Graphic 45 gals were a perfect touch. I feel like they are Canadian and American and 'Besties Forever', which is pretty much how I feel about all of you that are south of the border. Happy Independence Day Celebrations are right around the corner for those of us in the USA. A Happy Canada Day to all my Canadian friends!!! The Emerald Creek Design Team is sharing some special occasions projects to celebrate!!! Deb's luminary is absolutely perfect. I don't know about you, by I love the celebration after dark with fireworks, campfires and sparklers. And now I am going to see if I can whip up one of these to hang on the trailer. Happy Canada Day and happy Independence Day to all our Canadian and American friends! To mark these very special occasions, I made an O' Canada luminary to light up the night until the fireworks get started. I have some step by step photos on my blog on how I made it, hope to see you there! Ooo Cassandra is bring us awesome cards, 2 versions using a similar process. I just love the cross over and new use for images I would not have paired together. Donning the red and white, in a patriotic show of colours, as I send warmest wishes to my fellow Canadians on our country's birthday. Not to be left out, our neighbours to the south celebrate their Independence Day a few days latter so sending warm wishes their way too! 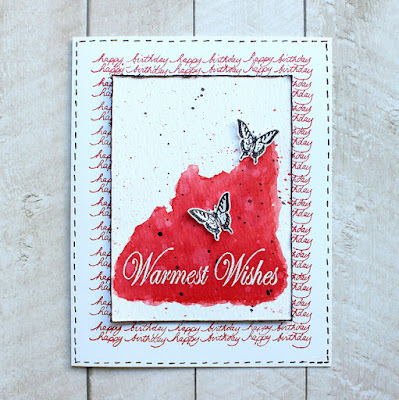 You can't go wrong with a little emboss resist watercolour and some patterned background stamping for a quick celebratory card. What a fabulous little center piece! Again I am in love with Heather's second creation and what a fabulous use of the Embossing Powder and the key charm. What a wonderful time of celebration this is for Canada and our American neighbors! 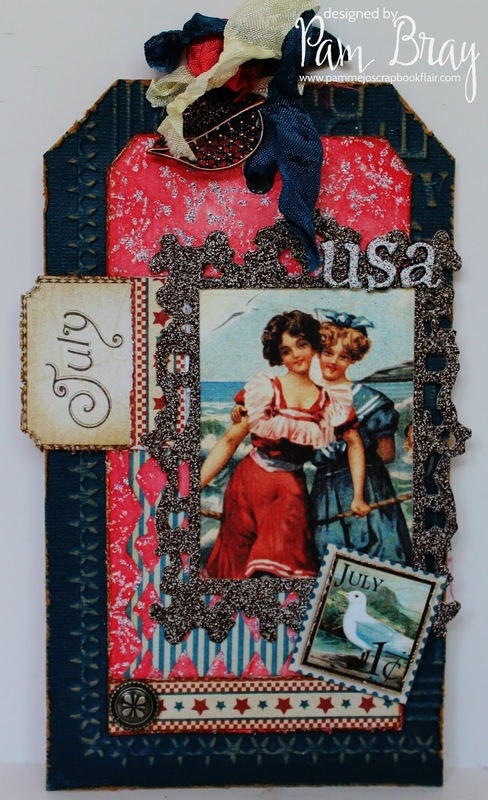 I love anything patriotic, so this project was a lot of fun to create. 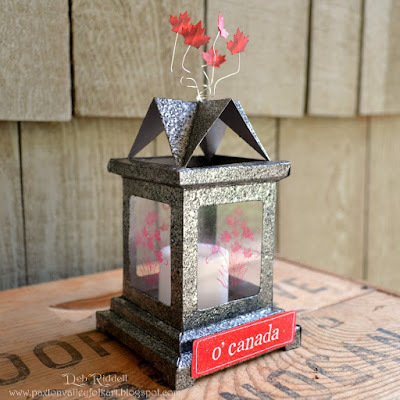 I altered a tiny glass jar and then created the maple leaf bouquet to go inside of it. To see my process video for this project and to find the details, go visit my blog! Due to the little hiccup, okay, Huge Glitch with the website we are extending the previous challenge and running this one over the long weekend. Plus I really want to blog my next rock! 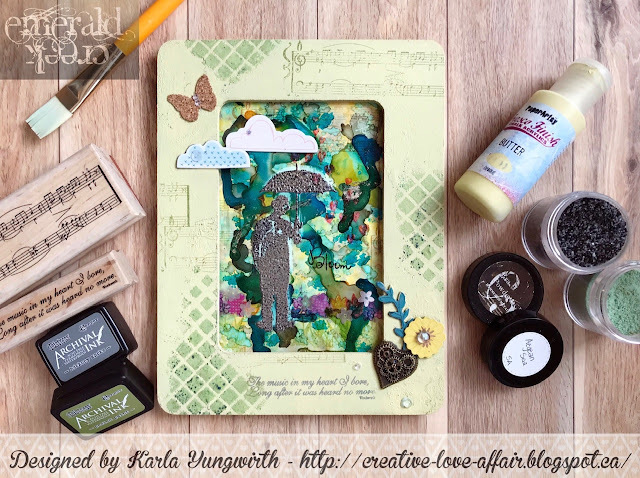 Pop over to Anything But Paper and toss your project into the mix for the no paper challenge. the winner will be announced on Monday July 4th! OMG!!! Ladies just putting out creative genius!! Always inspiring! Wonderful projects from the Design Team this week! Love how all of you thought outside of the box! Happy Canada Day and Independence day! What a fabulous array of inspiration to help celebrate Canada's Birthday and USA's Independence Day! I hope to sneak over to you all's blogs to see these beauties up close over what's left of this busy weekend! Happy Canada Day and Happy 4th of July! Hugs! We hope you had an awesome weekend Sara!